Everything The O.C. : The O.C. 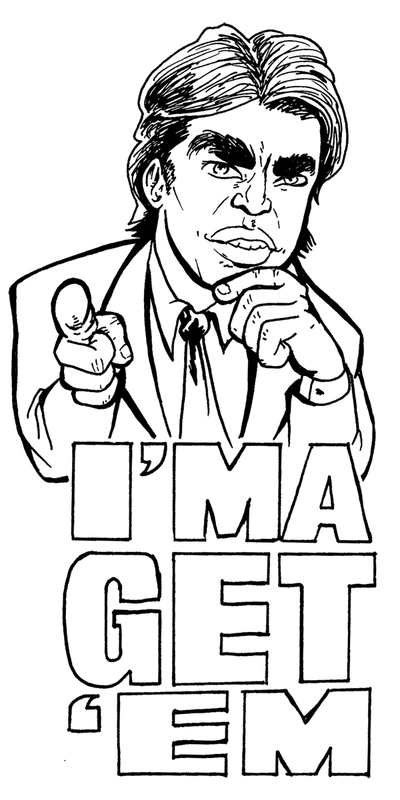 Fan Art: Sandy Cohen Tattoo Design + Coloring Contest! The O.C. Fan Art: Sandy Cohen Tattoo Design + Coloring Contest! Here we have a Deviant Art designed masterpiece of Sandy Cohen in full Sandy Cohen spirit! This image was created by Deviant Art artist TyphoonCutter! On the source page (where we found this image) Typhoon states that he created this image for his friends next tattoo and is dead serious! We think that's crazy cool and darn unique, must be a true Sandy fan for sure! The eyebrows and suit are spot on and let's face it Sandy always "got em"! Now to the fun! We decided to turn this into a coloring contest! Print this image out and color it using your unique creativity and we will post our top favorites on this site! Submit coloring's to our official Twitter page here by October 1st! We look forward to seeing them..PS: Try to stay in the lines!